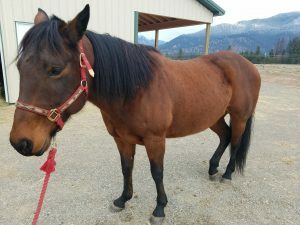 Abstract: “Jaxy”, a ten-year-old Quarter Horse mare, was referred to me for troubles collecting when riding and sticking her head in the air especially at the jog and lope. Pain over lumbar and sacral areas were found with stiffness in neck and withers. Response to acupuncture, physical therapy, massage, and modifications to riding and warm ups, was quick and long lasting. History and Presentation: “Jaxy” was purchased a year ago for owner’s daughter to ride in 4-H both western and English disciplines. She has gradually over the year has become harder to collect and move underneath herself. She consistently throws her head up especially when rider pushes her in faster gates. The trainer recommended a chiropractor to “adjust” her back. Due to the lack of available chiropractor, owner sought me out to see if my acupuncture would help. They stated her past work was ranch work and they don’t believe she has had any traumas. After explaining that my services will be more encompassing than just acupuncture, owner agreed to multiple treatments. Physical Examination and Clinical Assessments: Upon walking out from stall, patient was reluctant to cross feet over on hind limbs especially in tight turning. During the circling, the patient “hollow out” (doesn’t engage lumbar muscles) in mid-lumbar area and she raises her head on the turns. Her stance is normal with full balance on all four limbs, but she raises her head at the trot. Temperature, pulse, respiration, and gut sounds are all within normal limits. She has a body condition score of 4/9. Neurological exam: All reflexes, both cranially and peripherally, are within normal limits. Normal mentation. She has normal tracking of feet both forward and backwards. Myofascial exam: The patient showed decreased scapular slide bilaterally, showed mild pain in wither especially on the right side, and the range of motion was decreased mildly at withers and lower cervical vertebrae. Hind limbs show a reluctance to “drop” hip on circling which was worse on the right side. From mid lumbar through sacral area and coccygeal area, the back showed pain on palpation and stiffness bilaterally, but the right side was worse. The sacroiliac joint squeeze resulted in pronounce pain. Range of motion of the vertebrae of the mid lumbar to coccygeal was decreased. Medical Decision Making: Since this horse had obvious signs of pain on the exam, my treatment approach had to take this into consideration and take the first treatment slow. I focused on the major areas that were giving the patient the worse issues even standing in the pasture versus focusing on the collecting issue right away. The first acupuncture treatment targeted the wither and lumbar-sacral area and massage and stretching were added to therapy. My goal was to work with endorphins and decreased muscle tension. Owner was instructed to ride easy rides without trying to collect and no loping. The second appointment a week later showed marked response from previous week. While pain on withers and lumbar-sacral area was still present, it was markedly decreased. The range of motion in the neck was back to normal and the lumbar and sacral areas were improved greatly. I focused more on the lumbar-sacral-coccygeal area with my acupuncture treatment as recruitment of mechanoreceptors to alleviate the neuromuscular pain complexes. I left the needles in longer and twisted them. (electrostimulation was not used at this time due to patient’s lower tolerance of the dry needling). I fully expected to have to do a third acupuncture treatment but on the third exam, the patient showed a completely normal exam. I performed stretches, carrot stretches, belly rubs, hind limb and forelimb extensions, and massage. The owner and I discussed physical therapy exercises (see attached photos from references). I also added counter-arching and cork screw riding exercises and the patient was collecting well and not throwing her head. Differential Diagnoses: vindicate Encephalitis, myleoencephalitis, Equine herpes virus, Equine protozoal Myleoencephalitis, West Nile virus, Parasitic vasculitis, osteoarthritis of the vertebrae, vertebrae stenosis or congenital malformations, Equine motor neuron disease, Spinal neoplasia/tumors, rabies, toxicity (i.e. lead) Equine metabolic disease, repetitive trauma to lumbar back. Definitive (or Putative) Diagnosis (or Diagnoses): I performed a full neurological exam to rule out neurologic disease. Conformationally, the patient is a large boned quarter horse with a longer than average back. 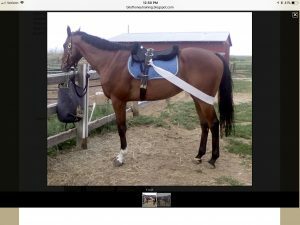 I have seen this horse multiple times under saddle and have witness the rider ride with an unbalanced seat causing most of her weight to be distributed on the lumbar area of the horse. I feel that the front end (wither) issues were due to a compensation of the pain in the lumbar-sacral area. The patient exhibited these symptoms due to repetitive trauma to lumbar back, but osteoarthritis could not be ruled out. Acupuncture Treatments: All needles used were Acuglide 0.22x40mm (length due to long hair coat) First treatment included: BL13 (midthoracic spinal nerves) to help with local pain (withers) and thoracic limb pain, BL21 (thoracolumbar spinal nerves) for thoracolumbar pain including paraspinal/midline pain, BL24 (midlumbar spinal nerves) local pain help, GB21 (spinal accessory nerves) for tender local pain, BaiHui (Mid to caudal lumbar spinal nerves) for back and lumbosacral pain, and GV14 (caudal thoracic spinal nerves) autonomic support and neck and back pain. Second acupuncture treatments included: GB21, BaiHui, GV14, and BL13 as the same reasons for the first treatments but bladder line points were included. BL12 (cervicothoracic spinal nerves), for neck pain, BL23 (thoracolumbar spinal nerves) lumbar and pelvic pain, BL26 (caudal lumbar spinal nerves) back and pelvic pain, BL 28 (S2 spinal nerve) and BL 29 (S3 spinal nerves) were added for sacral pain. 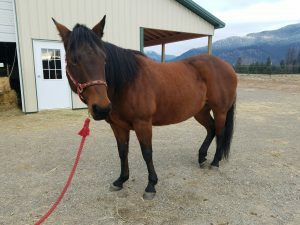 All three treatments included massage, stretching, mild adjustment to cervical vertebrae, physical therapy (exercises attached were included in final treatment), and recommendation of riding behavior changes (i.e. using a mounting block and more balanced riding). Outcomes, Discussions, and References: The patient responded so well to first two treatments of acupuncture, the third appointment was all physical medicine. The owner has decided to continue as a client instead of seeing an equine chiropractor. We will do more extensive work this spring when client begins training for the summer. Showing the owner pain areas and the response to treatment enforced the need for a change for riding behavior. Also, a future breeding was discussed to help the horse from chronic back issues due to conformation. 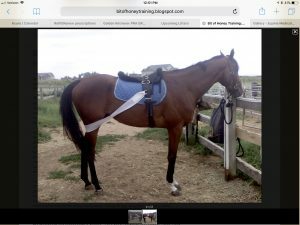 This case helped me utilize the physical therapy for equines I learned in the course from Dr. Allen Landes, Equine Medical Services and bitofhoneytraining.com. 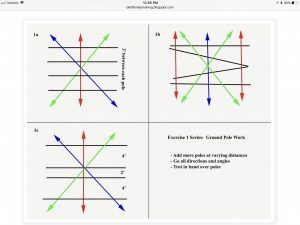 I was able to give these exercises to the client and help them with returning this horse to a level of competition and earned a long-term client.